Y'all Connect 2014: Come Join Me for my Favorite Blogging Conference! I have been to Chicago, New York three times, and San Diego for blogging conferences. But my favorite was in Birmingham, Alabama. Last year was the inaugural year for Y'all Connect Presented by Alabama Power. And it was everything those huge national conferences were not. I was able to learn from equally brilliant speakers, but the intimate, local environment gave me the relational opportunities I had been craving. I was able to finally meet friends that I'd been communicating with for years, I made new connections, and I strengthened relationships I already had. All while learning from leading social media experts. I had been skeptical of the sessions, because I feared it would be geared completely toward corporate social media, leaving my own niche of personal social media out in the cold. But that was not the case - I was able to increase my understanding of tricky subjects such as SEO, learn about the millennial generation (and realize that I was one of them), and glean tips on how to tell better stories. And I agree – the chatting in-between was just as valuable as what I learned from the sessions. I left feeling exulted and enriched, excited about my city’s social media presence and leadership. This year's Y'all Connect is coming up shortly on June 13, and I already bought my ticket. I also have a coupon code to share with you - ALABLOGMEET200 will give you $30 off the ticket price, bringing the entire conference (the full conference, two meals, one snack, and the closing party) price down to only $99. I strongly recommend you come - I hope to meet you there, This year's speaker lineup is incredible, and I know you'll benefit from what the conference has to offer. Disclaimer: I received no compensation from this post nor will I from the coupon - all opinions are my own. Grasping for Objectivity, sells Birmingham photos to benefit The WellHouse at Picture Birmingham, and runs the blogging networking site Alabama Bloggers. 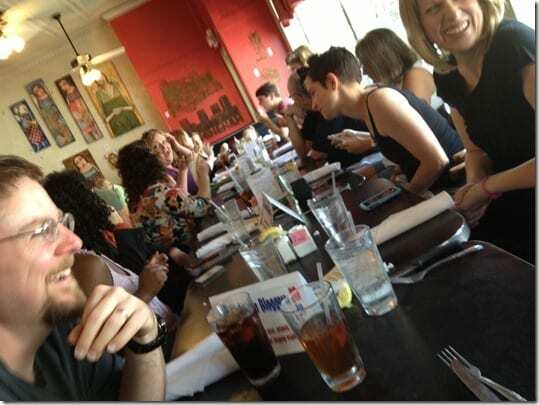 Come to the Alabama Bloggers April meetup. 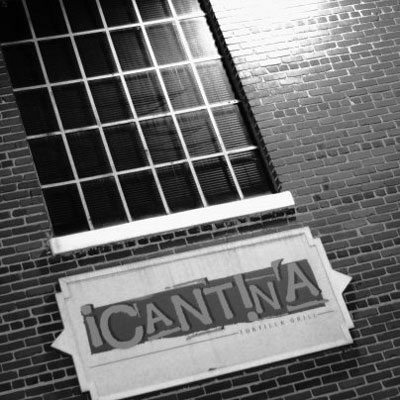 We'll have lunch at Cantina, a terrific taqueria with a mouthwatering menu. You can pick which topic group you'd like to join, and spend the time learning from your fellow bloggers. In addition, this is a charity event for the WellHouse, a faith-based and Christ-centered nonprofit organization offering immediate shelter and transitional housing to women who have been trafficked, are prostituting or otherwise sexually exploited. Let us know you're attending on our sign-up sheet. Note: Only 30 spots available, so RSVP now. Thanks to Cantina, Dreamcakes, and Picture Birmingham for providing these great prizes. Good luck! IMPORTANT: Don't forget the Alabama Blogger Meet-Up tomorrow (Friday February 7 11:30) at Mr. Chen's. Hope to see you there! IMPORTANT: Our Alabama Blogger Meet-Up has been postponed until February 7, still at Mr. Chen's at 11:30. Hope to see you there! After a bit of a holiday break, I can't wait to see all of you again! 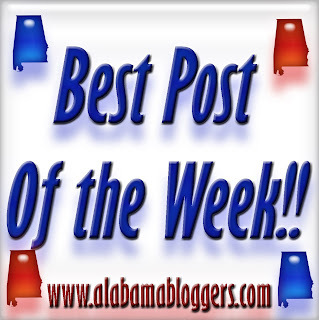 We will be having our January Alabama Blogger Meet on January 31 February 7 at 11:30 at Mr. Chen's Chinese Cooking in Hoover. Feel free to be late if you need to - just be sure and RSVP so we can save you a seat. As always, everyone is invited, so be sure and help us spread the word! The hashtag for the event is #AlaBlogMeet. You may RSVP by commenting here or on the event in the Alabama Bloggers Facebook Page. Which, if you're not a member yet, be sure to request it! We have great blogging discussions and sharing within the group. I hope to see you on January 31 February 7!